So fellow readers, once upon a time a little six year old girl wandered into a tiny corner shop she often walked by on her way home from school. She was greeted by a kind woman sitting at a large desk, who explained this “shop” was a magical place called “Library” where one could read books for free. Better yet, if one could sign one’s name on the card, one could bring those books home at no cost as long as the books were returned in good condition within two weeks. The little girl, who had recently learned to read, was amazed. She hurried home and practiced writing her name in the language called Cursive, as that was the language one needed to use when signing one’s name on the card. It was not long before she was bringing home armfuls of books to read. So it came to pass this child discovered the mystical power of books. 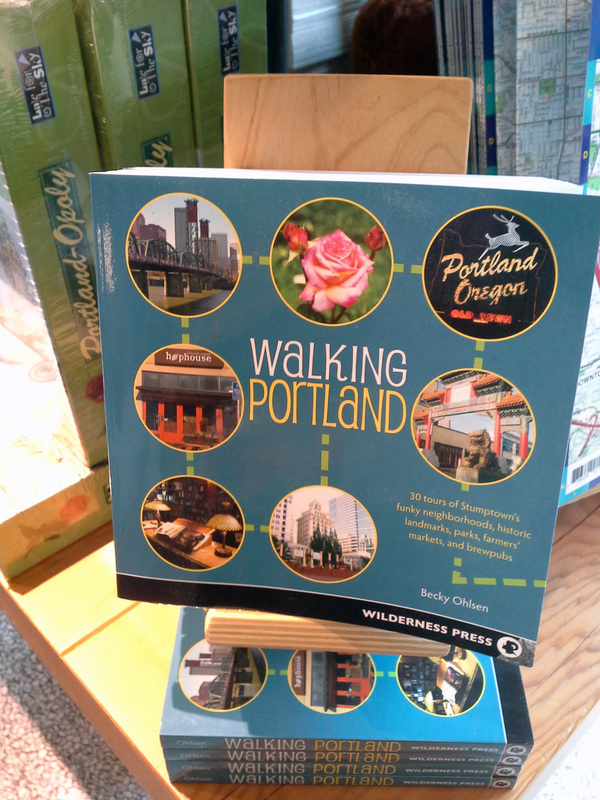 There is no way to adequately describe the Portland icon known as Powell’s City of Books. Words and photos may give an inkling of the magnitude of it’s extensive collection but even videos cannot capture the feeling of being immersed in a cavern of books so vast it requires a map to navigate. Several stories high, a full city block in length and width, it has information centers strategically stationed through out the 68,000 square feet of nine color coded rooms. Each information station is manned by a knowledgeable staff person whose personal mission is to help you find any book you seek; in the process they often find books you didn’t realize you were seeking until they happened to mention their existence. Oh and it’s not just books; there are all manner of printed materials from maps to games and more. And because it is not uncommon for patrons to spend several hours meandering around the 3,500 individual sections (see map above) there is of course the World Cafe, complete with comfortable chairs, WIFI and a menu of reasonably priced sustenance to fuel the most arduous quest. 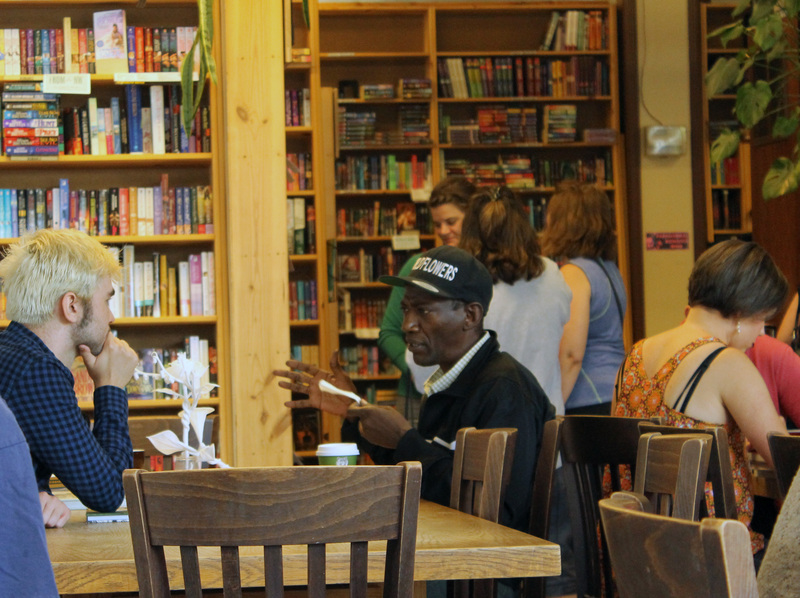 As with most locations in Portland, the World Cafe is host to some colorful characters. The fellow in the baseball cap was talking to himself while using elaborate hand motions (maybe casting spells?) to make a paper sculpture out of napkins. The young man across the table bought him a drink and sat down to discuss whatever was on his mind. If you love books, Powell’s by itself is worth the trip to PDX and my family loves books, so Powell’s was high on everyone’s “must see” list for our first trip to Portland last year. At first it gives the impression of a modern day big book store. The main lobby is filled with lots of eye catching displays featuring current best sellers and local literature. It’s not until one ventures beyond the front room into the cavernous interior that the full impact hits. Standing on the central landing, looking in all directions I was instantly transported back to the wide-eyed six year old kid who had just discovered the corner “satellite” public library across from PS 19 in the Bronx. 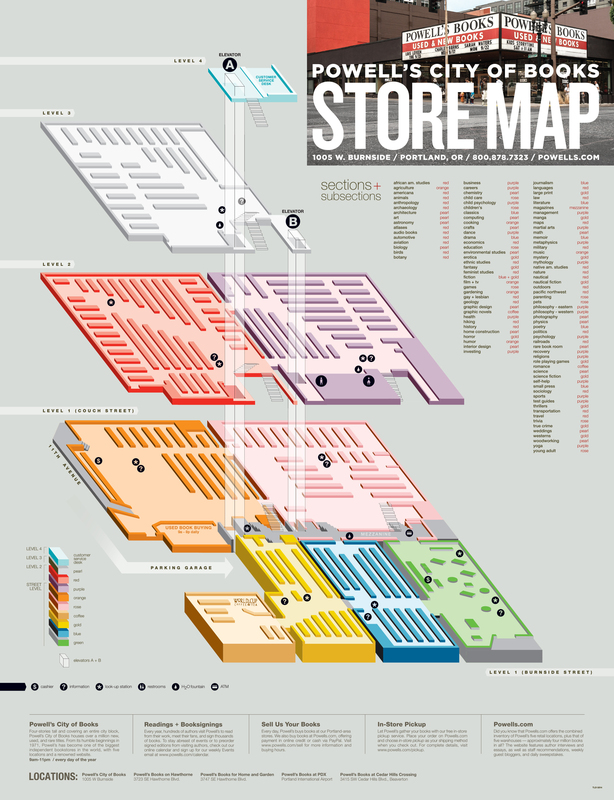 That satellite library would fit quite easily in any one of Powell’s color coded areas. Holy Dewey Decimals Batman! 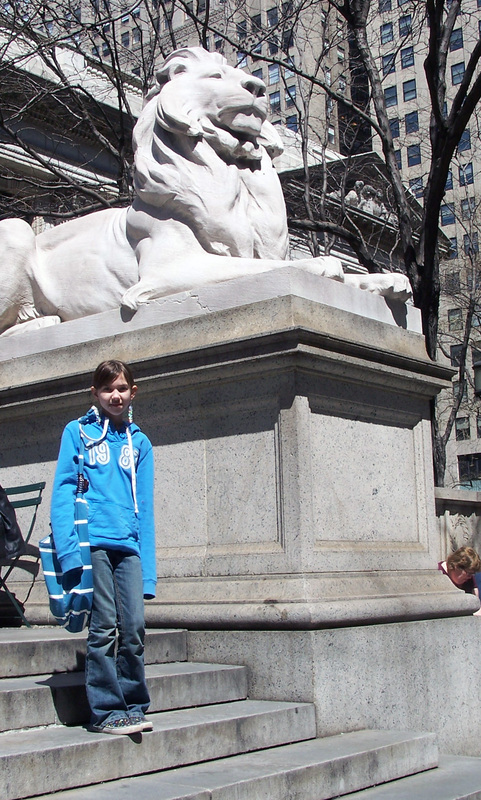 This was not like the rarely disturbed collection of books on the pristine shelves at my other beloved New York Public Library, the BIG one with the majestic stone lions. Ah major score! 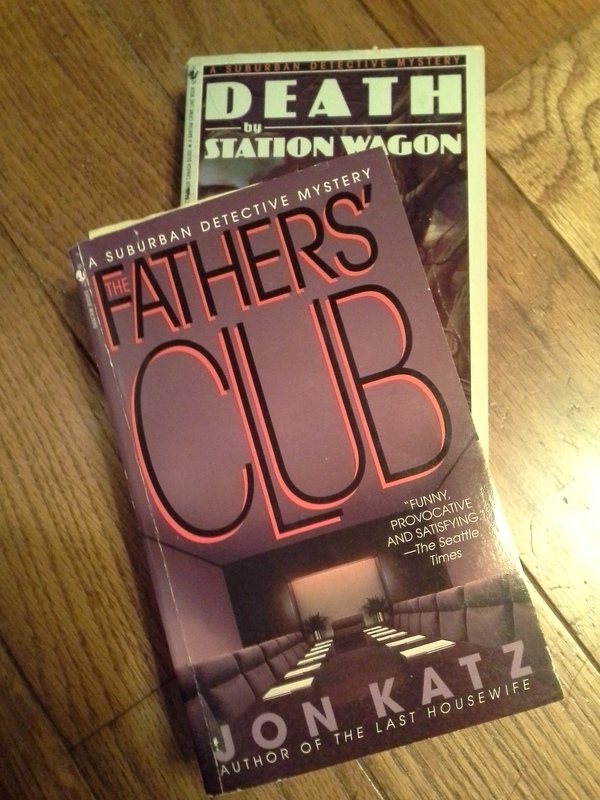 the long lost mysteries of NY Times Best Selling Author Jon Katz. as well as a decent stack of local hiking guides and maps, a haul which provided ample reading while my husband and daughter wandered the shelves on their own quests. 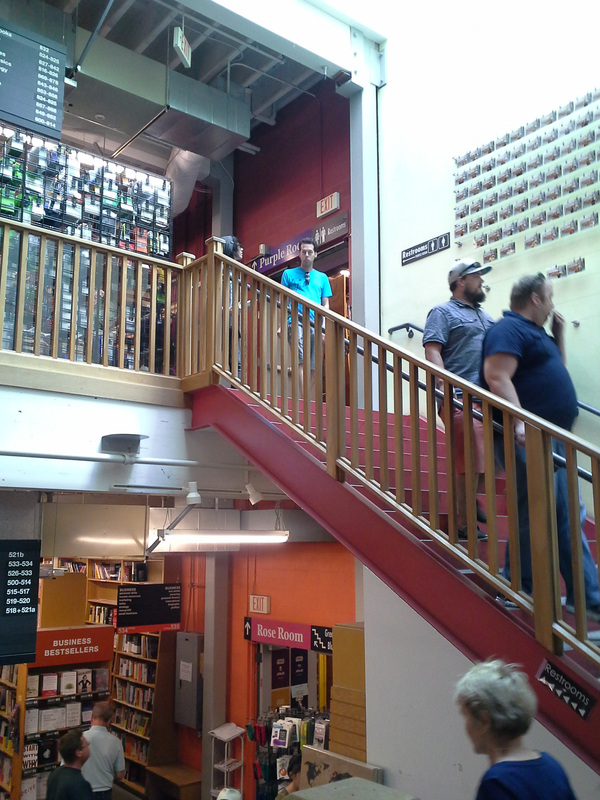 The hours we spent at Powell’s last year were a highlight of our time in PDX. 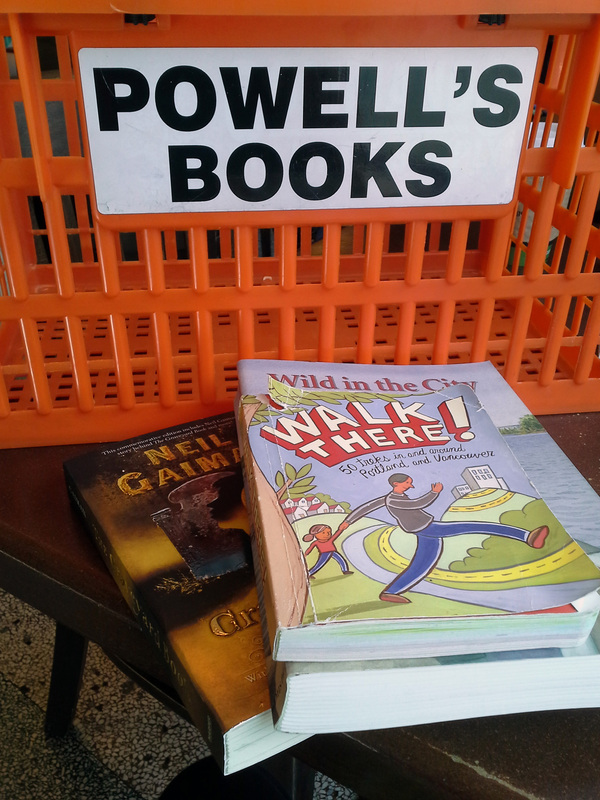 This year I had not expected to return to Powell’s so early in our itinerary, but given my need for some contemplative down time I welcomed my daughter’s suggestion we make it our first stop of this trip. What I know now is that six year old kid who succumbed to the spell of well spun stories would soon realize writing her own stories was a way of finding herself. She would fill dozens of black speckled composition notebooks with words and awkward drawings. Although those composition notebooks have been replaced by a laptop and a digital camera she is still writing and creating images to express herself to this day. 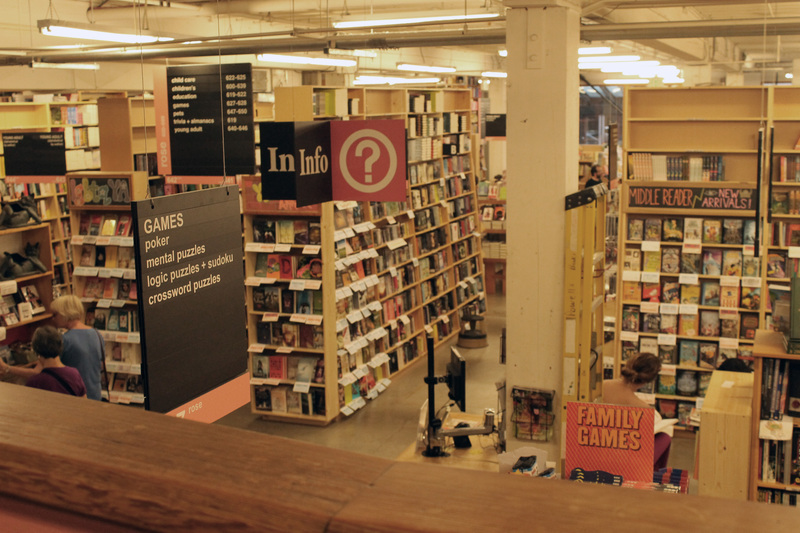 For me, Powell’s was more than a bookstore, it was a cocoon for creative gestation. Standing once again on the central landing of Powell’s Books, gazing around at the opportunities for discovery stretching in all directions I felt the first of what would be several “yes the magic is real” moments on this journey. Soon I was settled in a chair at the cafe, with a cup of tea and a sizable stack of reading material ready to surrender to the power of being lost in words while seeking answers. Thank you for sharing this Xanadu! Sounds fabulous. The town I grew up in did not have a public library, just the school library. So now when I can go the local library, it is like a trip to Heaven. It never gets old.